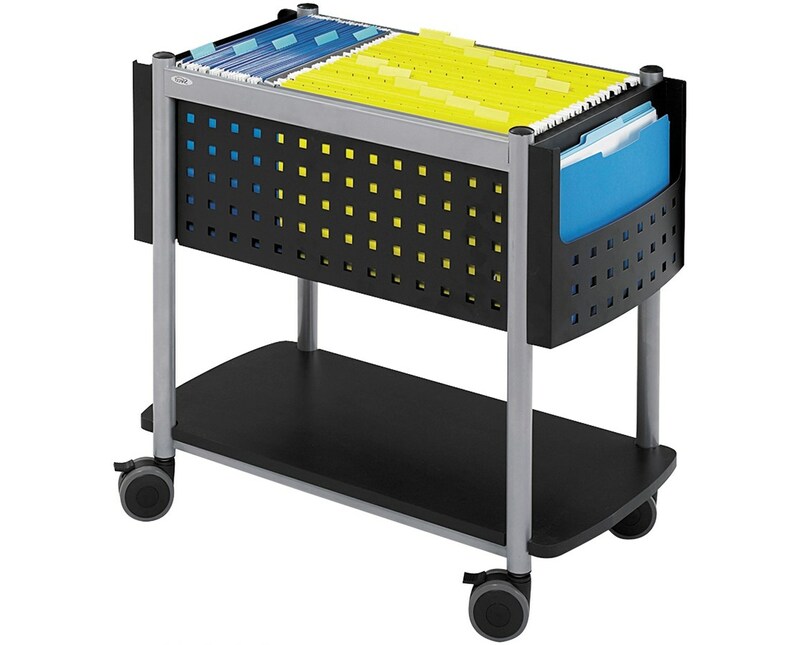 The Safco Scoot Open Top Mobile File is a multi-use storage unit that helps organize files and other supplies. It features an open tub that accommodates letter or legal-size folders and side pockets for keeping active files. It has a hole-patterned design that allows airflow and adds style to the cart. A bottom shelf is also included to serve as an additional space for other supplies. 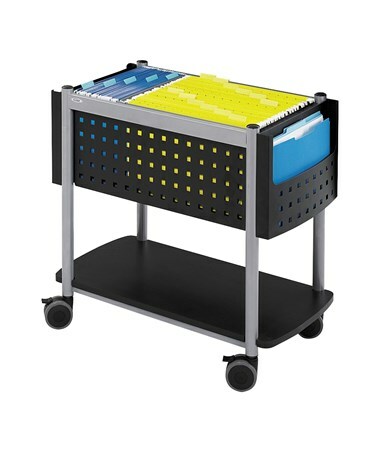 This file cart has a weight capacity of 100 pounds per level and 20 pounds per pocket. Moving the file around can be done easily with its four swivel casters and two of these casters have locking brakes. The frame and side panels are made of steel while the shelf is laminate. This mobile file is also safe for indoor use as certified by GREENGUARD.